For the less fit Inverpolly has numerous smaller hills, many with great views but Stac Pollaidh is the must-climb mountain on the estate with tremendous views all around and a steep but well made path almost to its summit. For the more ambitious Suilven is not far away (pictured above) and of course beyond that many other lovely mountains all within a short drive from the lodge or you could just potter down to the beach and read a book! 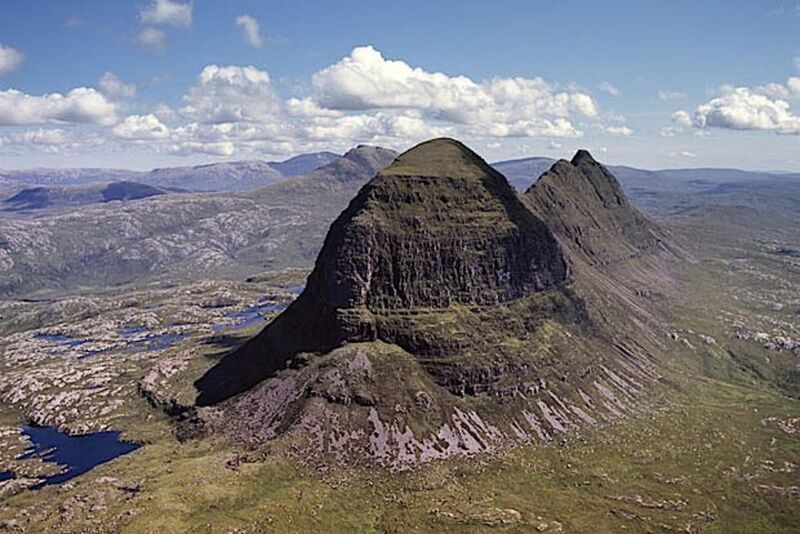 See the map below for details on the mountains closest to us: Stac Pollaidh, Cul Mor, Cul Beag, Suilven, Canisp, Quinag, Ben Mhor Assynt and Conival.